What machines are needed in a pineapple juice plant? Why do you build your own pineapple juice plant? According to the latest market research, global juice market is expected to witness significant growth during the forecast period from 2015 to 2021. Sales of fruit juice globally were up 4% during the year, the market is forecast to rise by an annual 5% over the next 5 years to 105 billion litres in 2020. Rising preferences for healthy products and increasing health awareness is fueling the demand for fruit and vegetable juice, in overall beverage industry. The global juice industry is the most competitive segment in beverage industry, which is your huge business opportunities. In a foreseeable future, it’s no doubt that business of making fruit juice is promising and will not out of date. Chances never waits for people, so does making money. 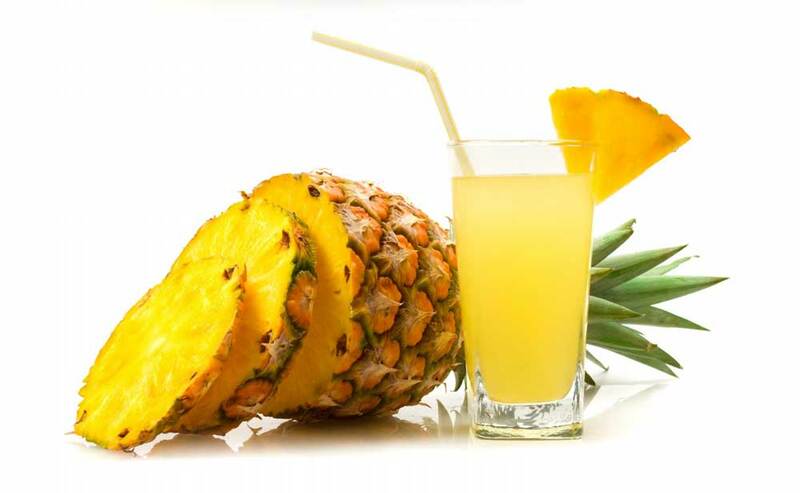 It’s your chance now, build your own pineapple juice plant (pineapple juice processing line) and start making money today! Large production capacity, range from 3t to 10t, suitable for the production requirement of large and medium-sized factory. The pineapples need not selected by dimension; the line can deal with pineapples of all grades. It is special equipment, manufactured according to the characteristics of the pineapples, which adjusted certain parts of the machine, can deal with different kinds of pineapples. Two or three times extracting can improve the rate of juice, which reaches up to 67%-85%. How to build your own pineapple juice processing line? Based on our experienced practice in pineapple juice factory and customers’ feedback and requirements, the TICO pineapple juice processing line is designed with the advanced technology from abroad, beaming the charms of Europe and America style. 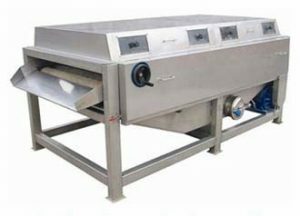 This pineapple processing line with appealing appearance satisfying various tastes and requirements from different customers is widely used to produce pineapple fumet. Long lifespan with the characteristics of low failure rate, low noise, and high efficiency. 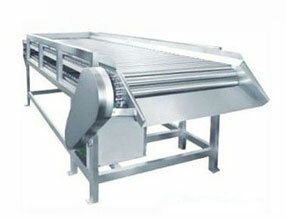 Adopts U type scraper blade which can prevent the pineapples stacking or falling. The speed of the motor can be adjustable which can improve the stability of the equipment. 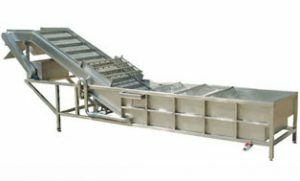 Description of fruit sorting machine: Fruit sorting machine is made of stainless steel profile by welding and forming with thickness is 1.5 mm. The rolling lever parts are made of special shout shaft stainless steel and chain wheel are made of 1Cr13 stainless steel. Adopting stepless speed adjust device, can control the working capacity of an hour by running speed. Working principle of fruit sorting machine: The stainless steel chain makes the tube moving revolution, and meanwhile the tubes rotates on the rubber track because of friction, so the fruits on the tubes will rotate freely, and the bad quality fruits will be picked up and separated manually. You also can add spray cleaning device at outside of the discharge port. 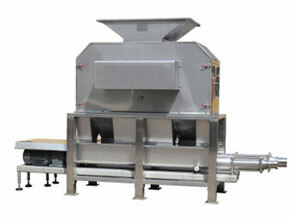 Adoptsfood grade transmission and elastic brush cleaning, using the high-speed rotating brush with high pressure spray. Brush and spray cleaning machine ismade of stainless steel by welding and forming. Transmission shaft and chain are made of 1Cr13 stainless steel. 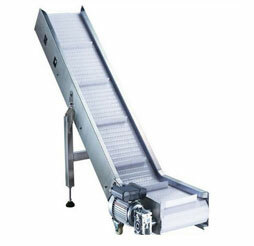 The height of brush and spray cleaning machine can be adjusted. Water tank and elevator frame are made of stainless steel, with its thickness of 1.5 mm, transmission shaft and chain are made of 1Cr13 stainless steel. Equip with circulating water pump, wash pineapples with high pressure. Special design of surfing and bubbling ensure a thorough cleaning and lessening the damage to the fruit as well.djusted. 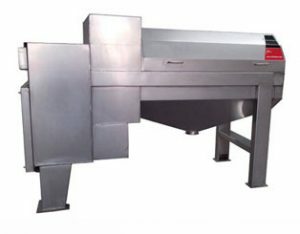 Adopts international advanced technology and designed according to the characteristics of pineapples, integrates the functions of peeling, coring and slicing. High rate of juice, compact structure, fruit size without classification. Integrates the functions of crushing and centrifugation, can separate juice and fruit slag quickly, and remove the kernel effectively. It can reduce the oxidation of the juice, and maximize reserve the taste and nutrition of the raw materials. 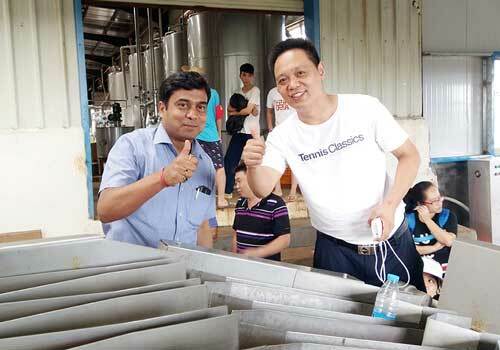 The content of the solid in juice and humidity of the peel slag can be adjusted.